Ellen Zimmerman is tenacious. She’s worked both as a volunteer and as staff for Wildsight for nearly 30 years. She’s seen the up and downs and the successes and failures of conservation in the Kootenays. In 2006, Ellen was the first Canadian to win the Yves Rocher Foundation Terre de Femmes Award. Ellen played a key role in protecting the Cummins River Valley, a 200 square kilometre low-elevation Rocky Mountain rainforest and wilderness north of Golden, the Columbia Wetlands and the east shore of Columbia Lake. Continuing our 30th anniversary celebration, Eddie Petryshen sat down with Ellen Zimmerman to talk conservation in the Kootenays. Eddie Petryshen: How did you first get involved with Wildsight? 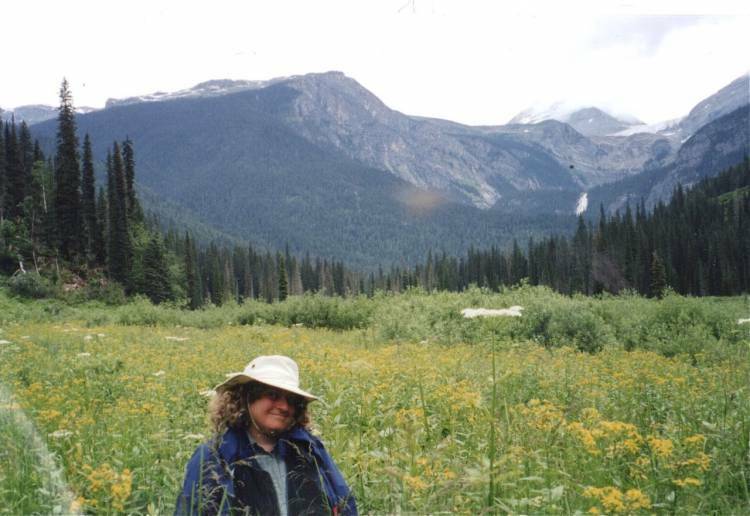 Ellen Zimmerman: I first got involved with the local Golden enviro group, the Big Bend Resource Society, in the early 1980s. We opposed a hairbrain scheme to spray pesticides for mosquito control over the Columbia Wetlands—and won that campaign. Then the East Kootenay Environmental Society (which became Wildsight) took us into the fold in 1987. My role with Wildsight started as a local campaigner for northern Kootenay issues, like another hairbrained proposal to build a toxic waste incinerator near Golden in 1992. We won that campaign too, thank God. Then I was one of the negotiators at the CORE table (the Commission on Resources and the Environment—a multi-year land-use planning process table) in 1993-1995. EP: As someone who got involved with Wildsight before Wildsight was even Wildsight, how does it feel to reach our 30 year anniversary? I am very proud of us. I think it is amazing to look back on the accomplishments of our organization. The influence we’ve had on the landscape and on people is commendable. It speaks to our tenacity and I would have to say that is my primary skill and an important skill for enviros. Never give up! EP: That’s so true. Who were some of the important people and moments that helped shaped what Wildsight has become? I would have to say that the visionaries, like Marty Musser and Kent Goodwin, who first helped organize the loosely organized divergent groups in the East Kootenay, were very important. In the 1990s, we had an Executive Director, Anne Levesque, who was a real visionary and an incredible forward thinker. Anne managed to organize us into a coherent group and get the funding to help us accomplish our work. The CORE process of the 1990s, which led to so many protected areas, was key and certain decision makers in government were absolutely critical to achieving what sometimes looked like impossible, unachievable goals. I am reminded of the protection of the lower Cummins Valley in 1997. This was seen as an impossible accomplishment because the logging plans were already in place for the old growth forest, the local Golden mill and plywood plant was in receivership and their sale seemed to be contingent on cutting the timber in the Cummins. Luckily we had a stubborn and tenacious MLA at the time, Jim Doyle, who stood up to his own government, and in the end the Golden plant was sold and revitalized and the Cummins was protected. Cheers for stubbornness. More recently, and of particular importance to me personally, was the championship of the boating regulation in Ottawa by our MP Wayne Stetski. After 15 years of glacial movement on the regulation by the different federal governments, having that local voice in Ottawa was a key factor in the successful outcome. Many of the people in government, like local biologists, land use specialists and planners were key to environmental success over the years. EP: What would you say were some of your own and Wildsight’s biggest achievements over the last 30 years? In a general sense, I think Wildsight’s influence on opinions and beliefs in the area is a critical achievement. For instance, the now world-renowned Columbia Wetlands, which before our involvement was considered by many locals as a mosquito-infested swamp. So I do think our work and our education and outreach programs have helped to raise an environmental consciousness locally and in whole generations of East Kootenay residents. Our education programs really are triumphs and the outreach we have done with local communities showcases some of our best work. For me personally, back in the mid-2000s, the Columbia Lake Wildlife Management Area and stopping the building of a resort on Lot 48, a 300 plus acre private land holding right in the middle of the Wildlife Management Area, was gratifying. Wildsight helped local Fairmont residents and others in the area to organize and oppose the development which eventually led to the purchase of Lot 48 by the Nature Conservancy of Canada and the ongoing protection of an ecosystem that spans from lakeshore to mountaintop. With the onslaught of backcountry recreational pressures, Wildsight has been key to presenting a tenacious and scientifically-based voice for wildlife and wilderness. I think Wildsight has helped bring some sort of balance to the process, preventing some of the potentially biggest negative impacts from backcountry lodges and tenures on wilderness-dependant species like grizzly bears. EP: And what were some of the toughest losses? For me personally, there was a very narrow window back around 2007-08 when we might have successfully protected the David Thompson Heritage Lands on the upper Wood River, but that window closed and didn’t reopen again. 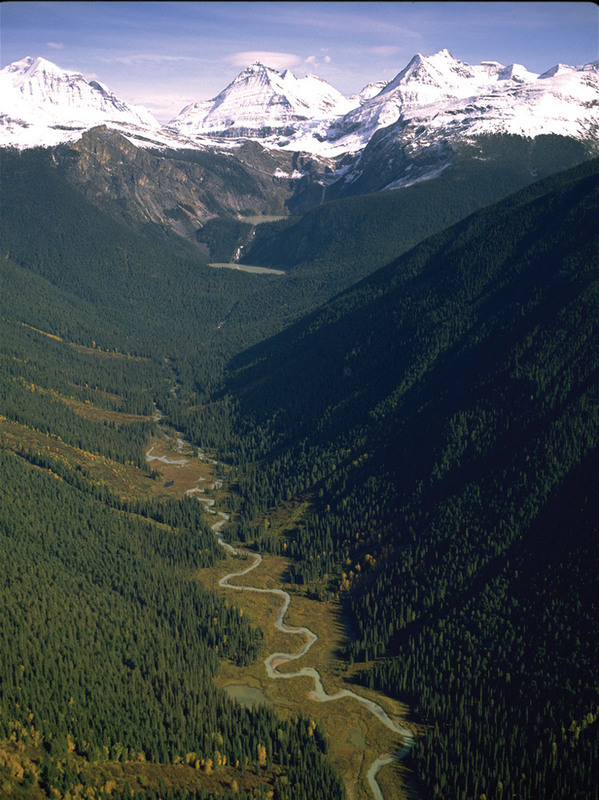 The upper Wood River Valley, which was to become the David Thompson Heritage Lands. Photo: Kari Medig. 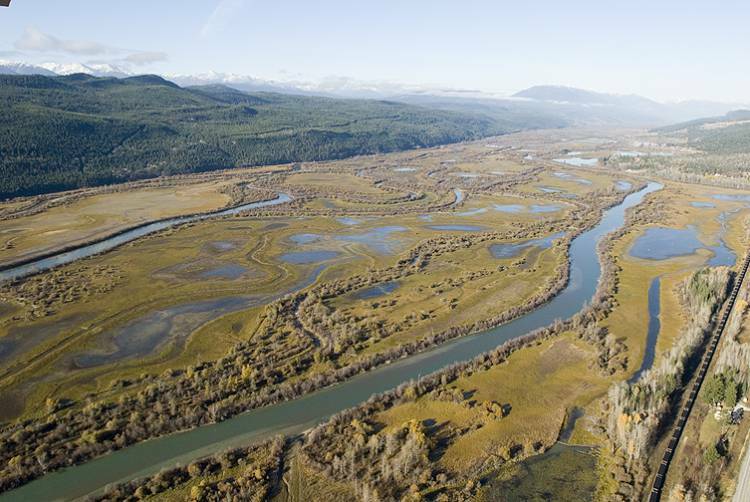 EP: Your work has been instrumental in getting protections for the Columbia Wetlands, the Cummins Valley and Columbia Lake. What makes you feel connected to those places? My connection to the Columbia Wetlands grew out of living near and recreating in the wetlands and my passion for birding. 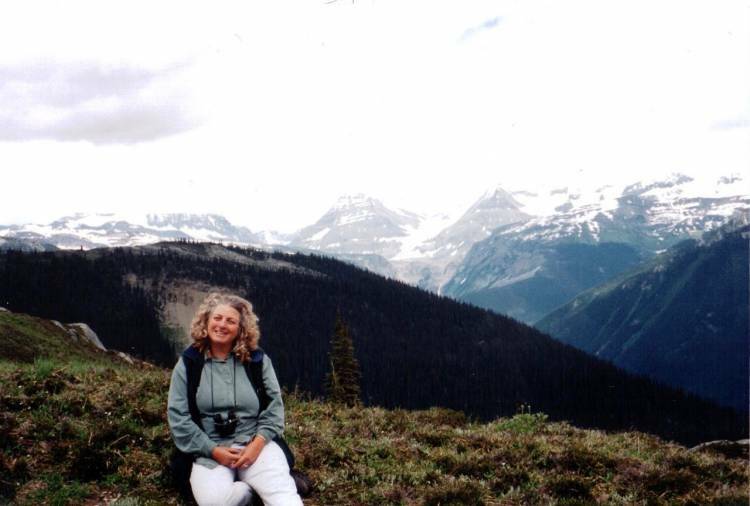 But I really became seriously committed after the early 1990s Protected Areas Strategy when scientists deemed it one of the most important and diverse ecosystems in the Kootenays. I think we all at Wildsight share a love for wilderness and wildlife and the outdoors. It isn’t necessary to physically experience an ecosystem to want to fight for its conservation. I never actually set foot in the Cummins until after it was protected. It began as an intellectual exercise. Here was this remote and unique valley that’s almost impossible to access, full of ancient old-growth cedar and hemlock, about to be logged for the cedar with the rest potentially wasted. 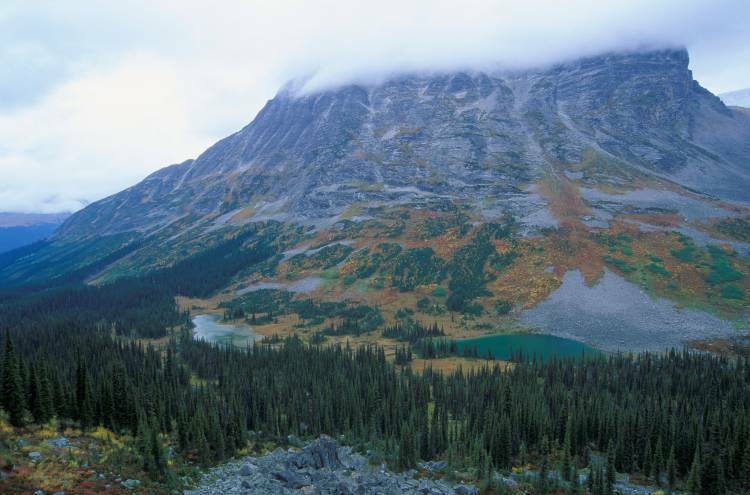 The Cummins is a Rocky Mountain rainforest, whose mystery and remoteness added to its allure. I’d experienced so much bad logging in the region around Kinbasket Lake and the loss of all that habitat under the reservoir behind the Mica Dam was a big factor. The breathtaking beauty of the Cummins Valley, with the twin lakes and verdant meandering lower river valley, was a big factor in my inspiration. When I did finally get on the ground there in 1997 to do a bird survey, the reality was far less romantic: chin-high devil’s club and the worst no-see-ums and mosquitoes ever, clamouring over slippery downed gigantic spruce trees, and moose, lots of moose. It is important to protect these ecosystems for the wildlife that depend on them and not so much for how we can exploit or even enjoy them. Ellen in a Cummins Valley marsh. The fact that I’d never been to the Cummins didn’t keep me from dedicating all of my energies to helping to educate decision makers and the public about its value and it didn’t prevent many others from supporting that campaign. So to enviros everywhere: your support for campaigns is legitimate whether you have ever personally seen a mountain caribou or a grizzly in the wild or whether you have managed to hike into the farthest reaches of the backcountry. Keep on writing letters and donating to good causes and doing your part. EP: What are some of the bigger cultural and political shifts you’ve felt over the last 30 years? One of the most important ones is that now the general populace is aware that they may be loving the outdoors to death. With the increase of the accessibility of previously remote backcountry, whether by new technology like ORVs and mountain bikes or the increase in backcountry commercial recreation, we stand to lose the very values that draw us to it. There needs to be more oversight and more care taken by those charged with the management of our backcountry to prevent that potential loss. While I think the public is more aware than ever of the value of the environment and wilderness, I am not sure they’ve made the leap to a more altruistic approach where wilderness is protected and conserved for its own sake rather than what you might get out of it. That perspective shift is so important and must happen if we are ever to make any positive inroads with climate change and species protection. EP: What are your hopes for Wildsight and conservation in the next 10 years in the East Kootenay? I would like to see the upper Wood River protected as the David Thompson Heritage Lands. I hope that there is a decrease in the number of tenures for backcountry pursuits and that the tenures that are allowed are carefully vetted through an environmental lens, where the impacts to wilderness and wildlife are the primary factor in decisions. I would like to see more young people take up the responsibility for education and advocating for the environment. Less consumption and more conservation and reuse would be good too. Let us hope for a general attitude and mind shift towards accepting that we share the planet with other species and that their well being and value are more important that the transient monetary value of resource exploitation. The Cummins Valley, wild forever. Photo: Ian Mackenzie.